I have learned a lot of lessons over the last three years. I didn't go looking for them. If anything, I pushed hard against them but sometimes (always?) you have to adapt to survive. 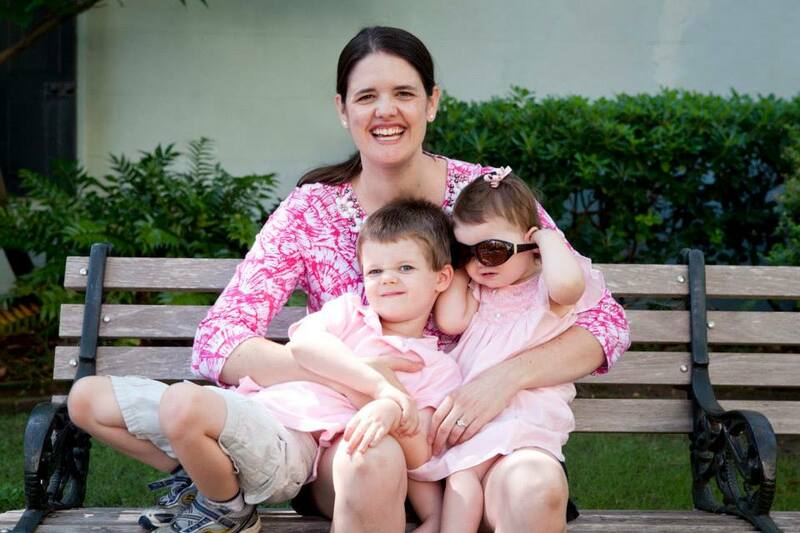 This is my story of the Episcopal schism in South Carolina. Others may remember it differently but I will try to stay true to my experience. Three years ago this month, I and other loyal Episcopalians in our part of Charleston, were suddenly without a church home. After Bishop Mark Lawrence and the Standing Committee had taken the Diocese of South Carolina out of The Episcopal Church, each church made their own decision about which side they would align. (Note: If you want more history on the split, I highly recommend Ron Caldwell's excellent blog). I was Director of Christian Faith Formation at Old St. Andrew's Parish Church. We took longer than most to decide and had almost two months of "discernment" before voting. At the beginning, I honestly thought Old St. Andrew's would stay. 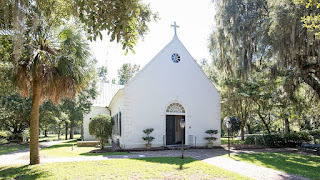 They were a fairly liberal congregation (for South Carolina standards), they had a lot of history with The Episcopal Church, and they did not discriminate against any person to be a member and leader in the congregation. That Sunday, before the votes were counted but the writing was on the wall, I walked up the aisle for communion uncontrollably weeping. It was the last time that I would take communion as a member of that parish. I think everyone understood the momentousness of that single vote but it still shook me to the core. On February 26, 2013, Old St. Andrew's voted to leave The Episcopal Church. In one vote, I lost my church and my job. To be fair, I need to point out that I was not fired. The church graciously tried to find a way that I could keep my job and still be an Episcopalian but I made the decision that I had to fully live into my choice to stay an Episcopalian. And honestly, I had enough to keep me busy with a 1 and 3 year old. Here we are that summer enjoying me being a stay at home mom again. So now what? 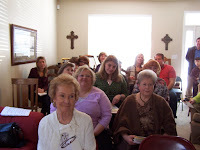 We had 25-30 people that had identified they also wanted to stay with The Episcopal Church, one of them being an assistant priest at the church. I had jokingly said to her a couple of months before "You know if we vote to leave, I am going to start a new church in West Ashley and I want you to be our priest." We both had a good chuckle. But now things were getting real. Within a week of the vote, a small group met with the bishop, and started a worshiping community called the West Ashley Episcopalians. We just needed a few things - prayer books, hymnals, someone to play music, and a place to meet. 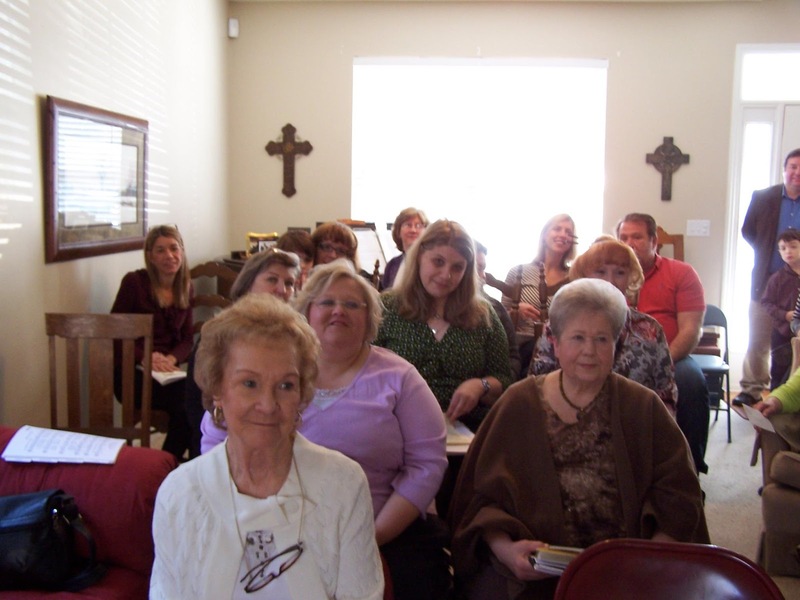 Our first Sunday, we had 27 people in the home of the Rev. Jean McGraw. The Holy Spirit did some major work leading up to that first service. We would think of something we needed and it would appear sometimes without asking. A friend called to offer to play music, churches (including Old St. Andrew's) gave us hymnals and prayer books, people offered sweetgrass baskets for the collection, and we scrounged our pantries and linen closets for things to "make do". During that first Sunday service, I was sitting off to the side so my kids could be a little wiggly. 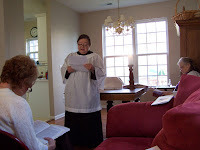 When Jean started her sermon, my daughter crawled over to the dining room and sat at her feet. At that moment, I understood the home church movement. I realized that a church doesn't need to be over 300 years old (I had never attended one that wasn't) to feel holy. We felt like we needed so much but actually we were right where we needed to be. Without all the trappings, we could see Jesus more clearly. We were the exact church we needed to be in that time and in that place. So many people after the split said "I want to stay with The Episcopal Church but I just can't leave this building." Man, they didn't know what they were missing. Come walk along the road with us as we grow as a church and in our faith. I remember the first time I saw you (and I think some others) at a Kanuga Formation Conference. We had just done an activity with Tom Brackett about being inside or outside the circle and your group didn't know where to stand since you were feeling really "outside" the circle at the time. I remember thinking how brave you all were to step out in faith.